What an apt way to resurrect this blog. Here’s an entry on the film about dead beings (should have been just pets but hey, humans are not good at following misspelled sign boards) being brought to life after being buried underneath the mysterious, perpetually foggy burial grounds in the middle of the scary woods. “They don’t come back the same,” said one of the blurbs in the trailer of the second film adaptation of this Stephen King novel. Of course they don’t. Several TV series and films have already taught us that bringing the dead back to life always leads to disastrous and regretful results (See Black Mirror and the 1987 Filipino Seiko classic, Huwag Mong Buhayin ang Bangkay starring Jestoni Alarcon). Come to think of it, as far as I can recall, even the Bible did not tell the full story of Lazarus’ post-resurrection life, which I think would have been a very interesting spin-off in the New Testament cinematic universe. Back to Pet Sematary – the movie is legit scary. Zombie movies don’t really scare me but Pet Sematary is a combination of crazy zombies + afterlife spookiness + demon child genre. Add in a bit of slasher gore and existential guilt and you have a perfect mixture of dread amplified by a good amount of the trusty jump scares. 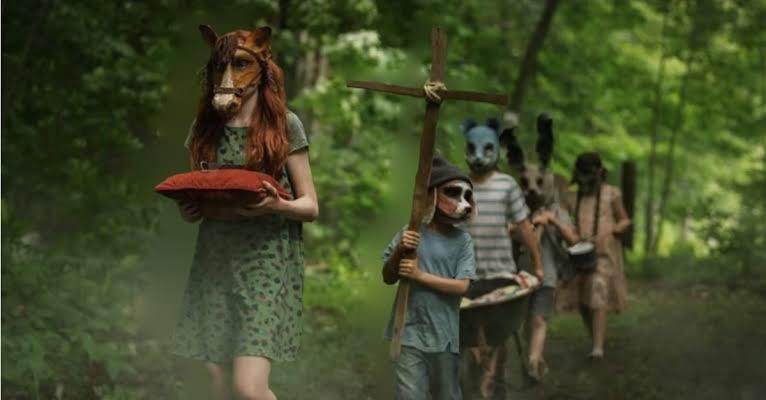 Aside from being a horror movie that’s so fun to watch, Pet Sematary also lets viewers face the natural yet so uncomfortable topic of death. In the movie, there’s a scene where the couple argues over the better way to explain death to a child – do they go the comforting sanitized route or should kids be exposed to cold and blunt realities of science early on. But not this blog. It’s alive again. Haha.